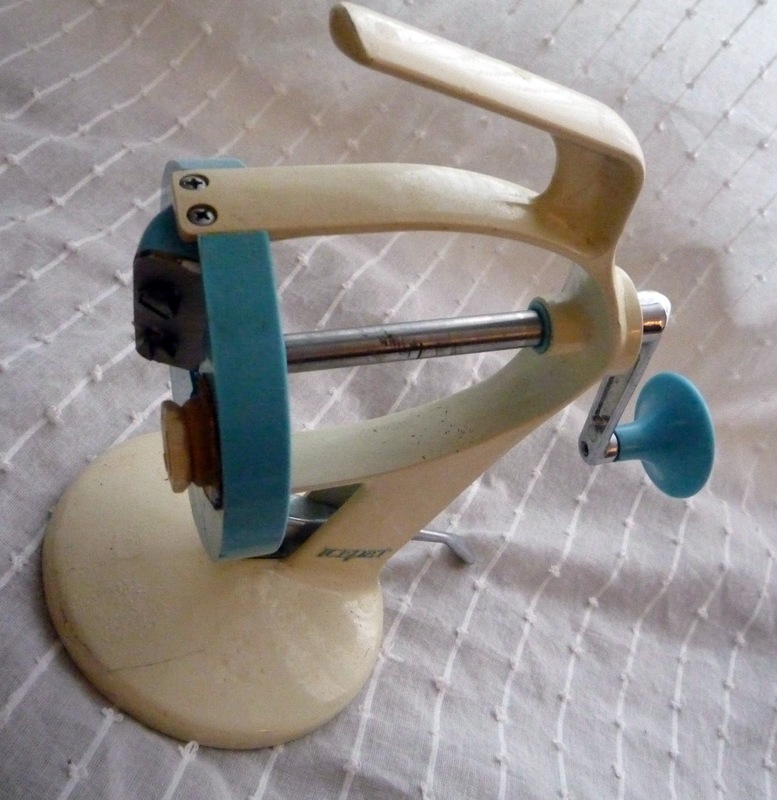 A vintage 'Ice-Pet' ice shaver. The thin silver handle controls a huge suction cup on the bottom of the shaver. This suction cups works so well! Originally it comes with little cups in which to freeze water to shave but I did not get them with my ice-pet! I use paper Dixie cups. Yes! I found this at the end of the summer and so only made a couple of drinks with it, but I can see it being a mainstay in the summer or any time for shaved iced margaritas! I can't wait for some slushy.